RSVP to “A Taste of The Christy” February 20th. 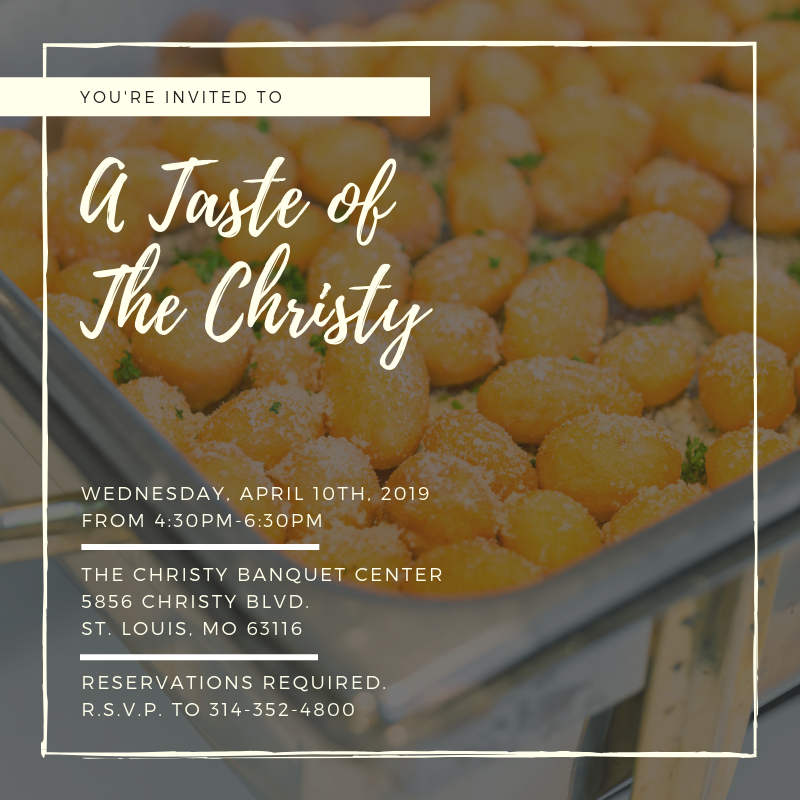 Interested in hosting an event with The Christy Banquet Centers and Catering? This is the perfect time to view our beautiful St. Louis facility, sample some of our most popular dishes and meet with our team of event coordinators! 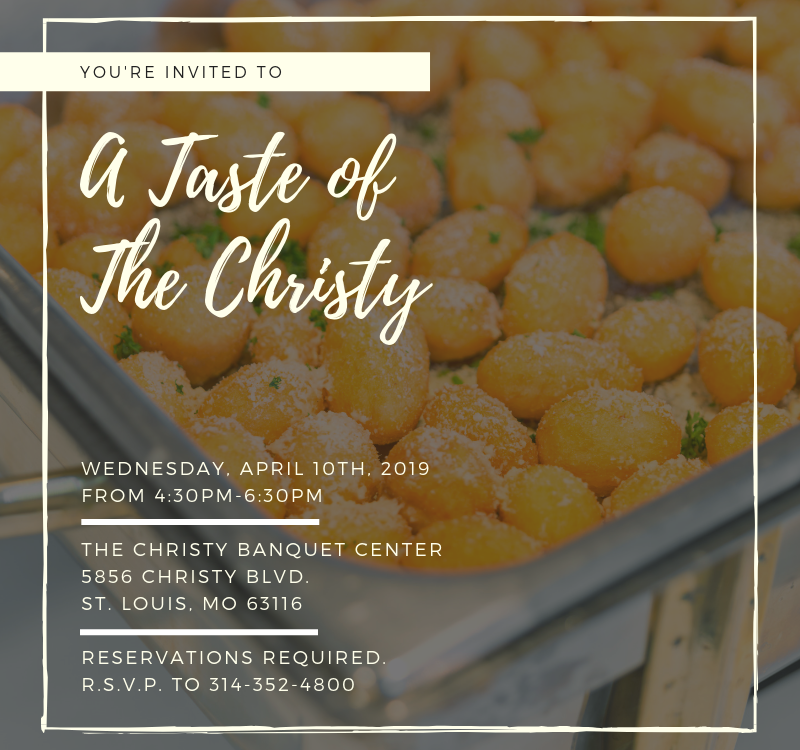 RSVP to “Taste of the Christy” April 10th.